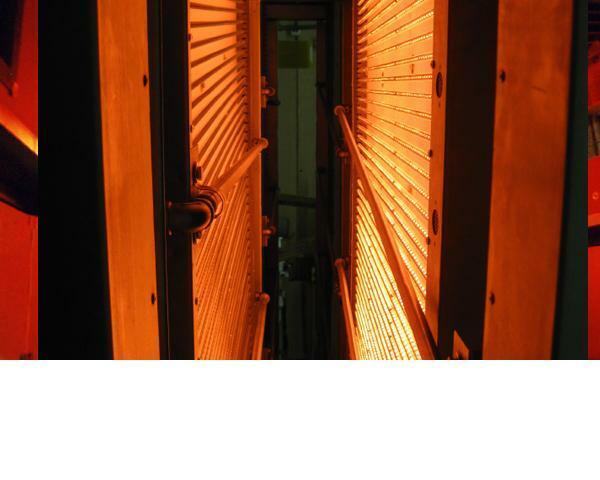 Infrared radiant heating systems are among the most energy-efficient, yet high-intensity systems that are used to heat objects in manufacturing processes. Infrared heaters are designed to directly heat objects in focused areas rather than heating the entire volume of a processing chamber. 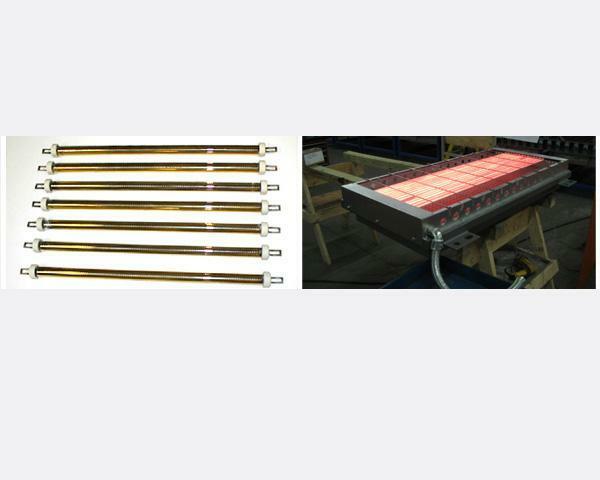 At Casso-Solar Technologies, we specialize in electric infrared heaters used in various industrial heating applications. 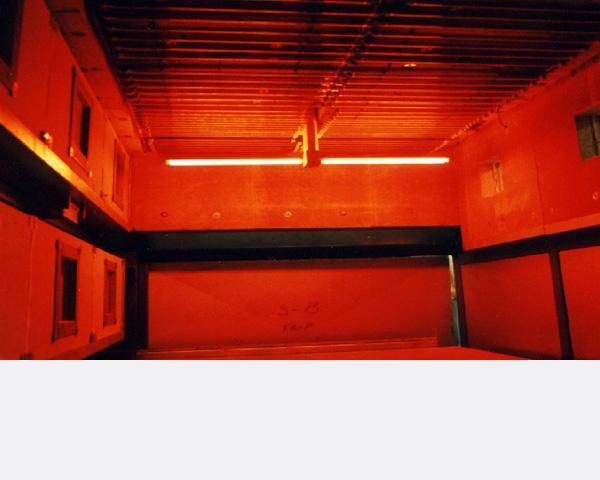 With an eye on productivity, energy saving, and cost-effectiveness, we can help you select customized industrial infrared heaters that meet your specific requirements. Our infrared heaters are powered by proven technologies and made of high-quality materials that ensure their lasting performance. 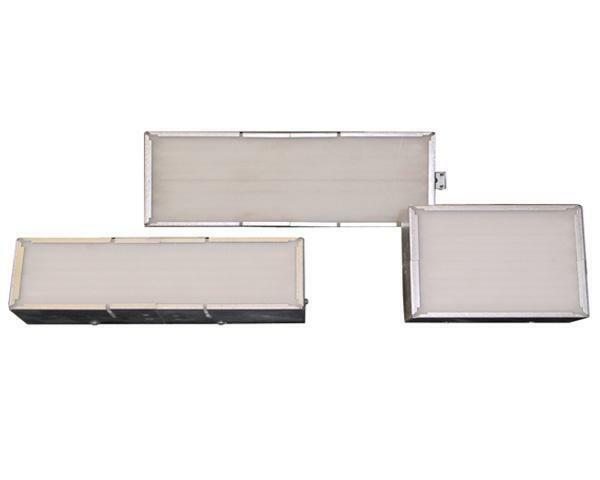 Wide Area Heaters: Standard Sizes to 12" x 72", Custom Sizes and Shapes, up to 25 Watts per Square Inch, 120-600 Volts. Life Expectancy in Excess of 25,000 Hours in Approved Applications. Flat Panel Quartz: Fused Quartz Face, Grooved to Accept a High Temperature Alloy Heater Coil. The Type C+ Provides Up To 60 Watts per Square Inch Radiant Output at 1750 Deg F.
Self Contained, High Temperature Furnace Module Includes Complete Oven Insulation and external access electrical terminals. Wattage to 40 Watts per Square Inch and Operating Environments to 1600 Deg F.
V-shaped elements with low mass for fast heating/ cooling and minimal thermal lag for tight process control. Provides up to 100 Watts per Square Inch with Element temperatures up to 2100 Deg F.
Unitube Heater with Unidirectional Tubular Quartz Infrared Heater with Built-In, No Maintenance Reflector. Gold Unitube with External High Temperature Gold Reflective Coating and Directed Energy Control. 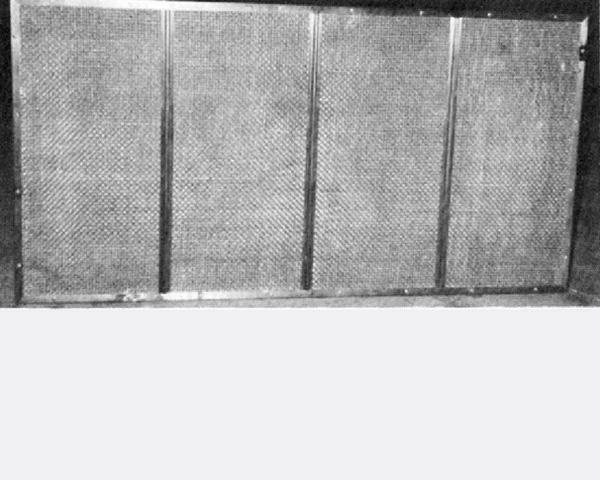 Custom Sizes Up to 120 inches, and 60 Watts per Lineal Inch on Unitube and 80 Watts per Lineal Inch on Gold Unitube. Short Wavelength Heaters Manufactured to Casso-Solar Technologies' Rigid Specifications with External Reflective Coating. Can be mounted in Banks to Provide Up To 100 Watts per Square Inch. High output, premix type burner, with no maintenance metal matrix knitted face. Radiant output from 30-90,000 BTU per square foot. Maximum output is 200,000 BTU per square foot. Modular design. 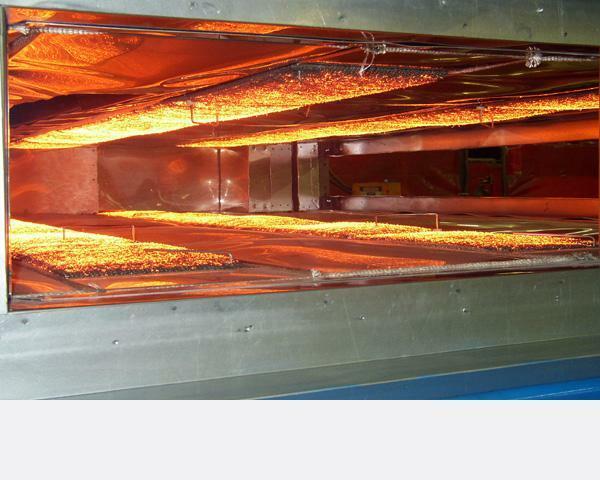 Gas catalytic infrared heaters produce water as their only by product. 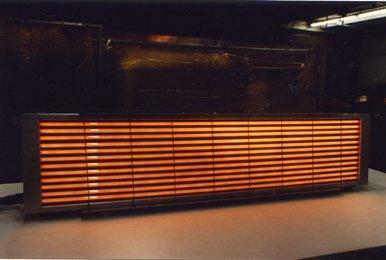 Energy output is equivalent to approximately 9 watts per square inch with temperature ranges of 400-950 deg F.
Equipped with Quartz Heating Elements: Many of our electric infrared heaters are manufactured with the use of quartz, which allows infrared energy to readily pass through it, making the heaters very efficient due to their minimal internal heat loss. 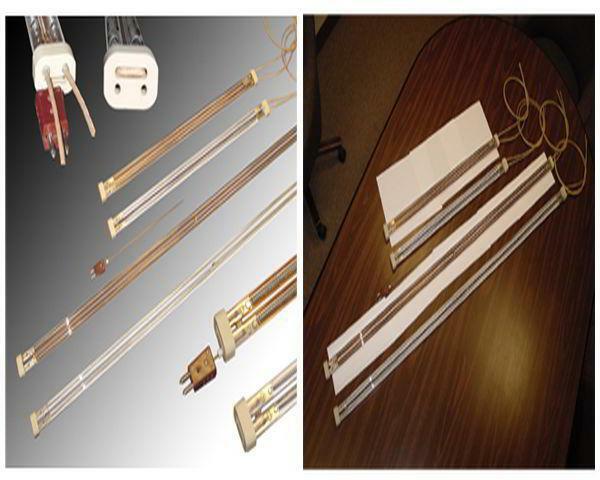 Our Unitube Heater, Duotube Heater, and Type C+ Heaters are a few of the most popular designs. Reduced Power Consumption: The construction of our heaters assures the maximum efficiency possible based on the electrical input. For example, our Unitube heaters are built with an internal no-maintenance reflector to ensure that the majority of the energy produced is directed towards the product. Our Duotube heaters are manufactured with a white ceramic coating to achieve the same effect. Suited for Uniform Heating Applications: Uniform heating is a main requirement in many industries where products are manufactured in large scale and then cut down to size later in the process. 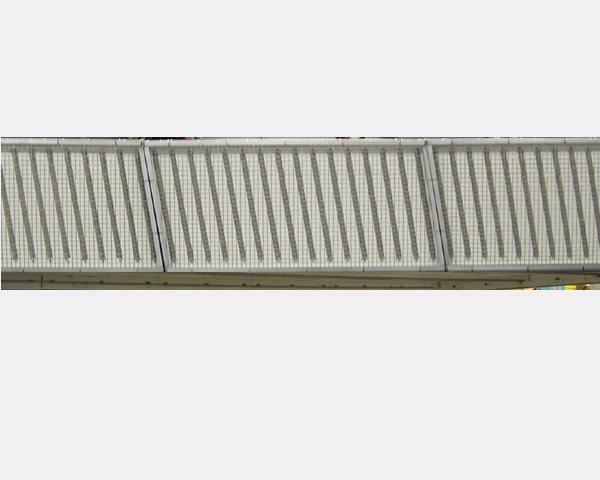 Our flat panel infrared heaters such as Type V-Series and FB Heaters have heating elements bonded to an insulating refractory board that can withstand high temperatures. 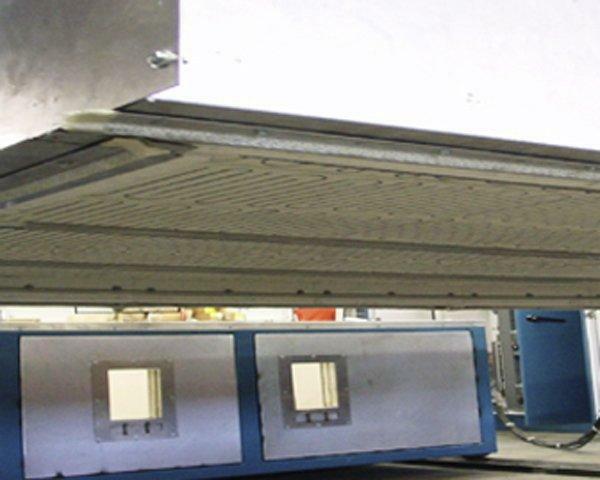 The refractory board and flat panel design help to create a consistent, stable temperature across the entire surface to assure uniform heating across the product width. Accurate Process Control: All of our equipment is supplied with easy-to-use operator interfaces and programmable recipes, which enable accurate process control. Our engineering team also works closely with customers to upgrade or modify their controls when desired. Design Flexibility: Modular construction of our equipment helps ensure easy customization to suit the heating requirements of the application. For instance, when using Unitube infrared heaters, the Unitubes can be easily mounted together to create a bank, or they can be pre-wired into multiple zones to suit the particular requirements of a customer’s application. No Harmful Emissions: Electric power is a clean source of energy, which means infrared heaters burn clean and produce no harmful emissions. Durability: The utilization of quality and proven components have helped us assure performance-driven electric infrared heaters that require almost no maintenance during their lifetime which is typically measured in the tens of thousands of hours. 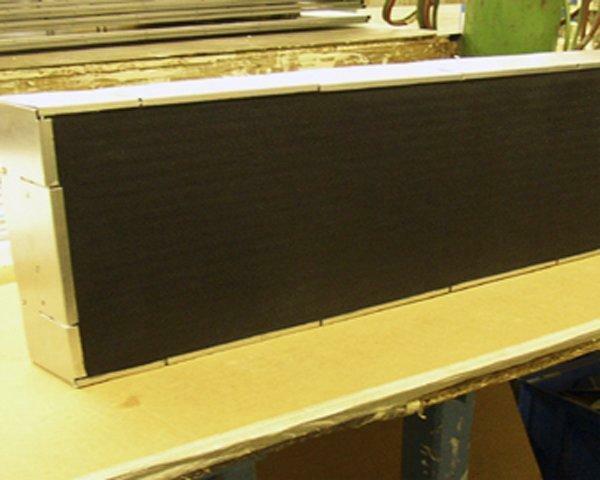 Our infrared heaters can be manufactured in various sizes, shapes, wavelengths, and power densities. The experts from our process and sales team work with you to understand your heating requirements. With vast process experience and the right expertise, we have built a reputation of delivering the right product in the first attempt. Thus, when it comes to receiving an industrial infrared heater with a guaranteed performance, you can find us ahead of the competition. Please contact us on 845.354.2010 to know more.